Internships. What better way to find out what a career is like than to work side by side in an office with someone who is where you want to be? Plus, you may get college credit for doing so. Head to your career center for information on when and how to apply for internships. Some companies may require you to apply many months in advance, so start looking early! Where you should apply? First, what’s your passion? Research companies that offer positions that align with what you see yourself doing as your career. Check to see if your college already has an internship program with these companies. If not, talk to your advisor on how you can make an internship at one of these companies work for you – and the company. Attend career fairs. Check your career center on when career fairs are held, especially if you’re still figuring out what you want your career to be. Attending fairs may be a bit intimidating at first, but just think of how much experience you’re gaining in talking to hiring managers, recruiters and developing your personal marketing strategy. Talk to professors and lecturers. 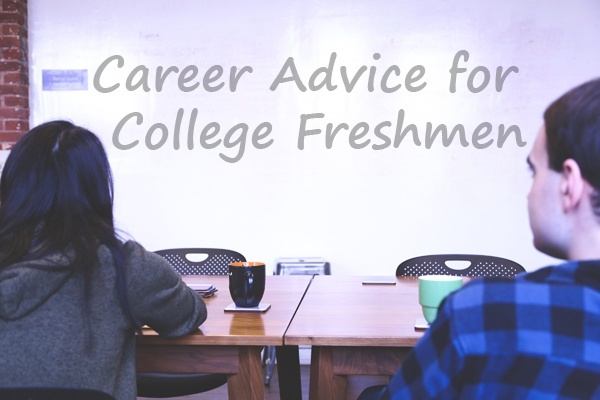 As a freshman, you’ll most likely be in large classrooms, so you may find it intimidating to get to know your college professors. This is where office hours come in handy. Start slowly and work to develop a report with your professor throughout the semester. If you have a question about an assignment or book you’re reading for class, attend office hours to discuss some solutions. Who knows where your conversations will lead. Perhaps during these office hours, you may be inspired to pursue a career path you’ve never thought about before. If your college is on the smaller side, you could end up having a few classes with the same college professor throughout your college career, and he or she may eventually become your mentor. Make new/more friends. Expand your network. Join Greek life/clubs/intermural sports/study groups. Why? Well, not only will your friends provide great memories down the road, they may turn out to be the perfect connection you need to get your foot in the door. Who knows? Your dorm mate could become a major player at a company you want to join (and vice versa). Trust us, your college years will go by in a flash! By prepping early, you’ll hopefully avoid some of the anxiety that comes along with graduating and entering the “real world.” With this career advice, the goal is to put yourself out there, learn who you are and prep for your future. Tell us: College students- how are you preparing now for your future?